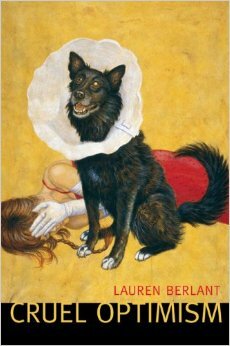 Cruel optimism, Lauren Berlant proposes, "exists when something you desire is actually an object to your functioning." In this trenchant analysis of the affective dimensions of the precaritization of life under neoliberalism in the late 20th- and early 21st centuries, Berlant gives us the conceptual tools to understand how and why extended crisis becomes indistinguishable from the rhythms of daily survival. She argues eloquently that trauma is a genre for viewing the historical present. Her scrupulous readings of contemporary art, film, and literature render visible the slow time of undramatic attrition and absorption--the temporality of our perseverence in attachments that do us no good. This book unflinchingly illuminates "cruel optimism's double bind"--"even with an image of a better good life to sustain your optimism, it is awkward and threatening to detach from what is already not working"-- while remaining open to unanticipated political and affective futures.